The nation's longest cardboard cave! Drop in - no registration required. This is an extreme cardboard maze that is adventurous for both adults and kids. You will encounter extensive crawling passages and some constrictive spaces during this trip. 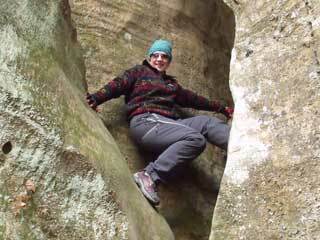 The passages simulate conditions often encountered by cavers in the area's wild caves. Bring a light (NOT carbide! ), but leave your shoes and helmet behind. Dress lightly since crawling through the Kenny McCoy Corrugated Cave can be strenuous and stuffy. Knee pads are a good option if you have them. The cave undertook some renovations, so past explorers can try and find the new cave passages. We allow 10 people maximum in the cave at one time, therefore a short wait may occur. Children 10 years old and under need parental supervision in order to participate. Follow signs from the lobby to the basement to find Kenny McCoy Corrugated Cave. 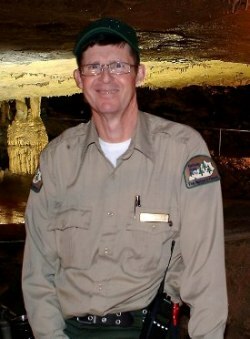 Kenny worked for Carter Caves State park for over 20 years. 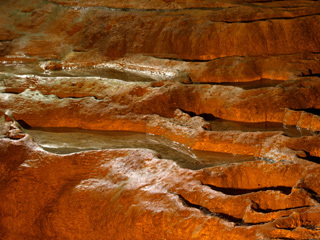 Kenny began as a seasonal cave guide back in the 1970s before he left the park for awhile. Kenny returned to the park for employment in the late 1980s and worked in several different departments including the kitchen, a concession stand at the pool, the dining room and eventual back underground in the caves in 1993. 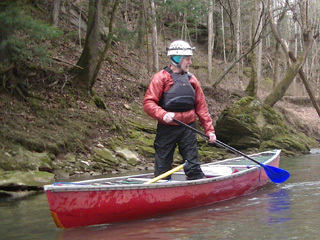 In 1997 he became a full-time employee in the Recreation Department as a cave guide. Over the years Kenny became well known by returning park guests. Kenny has an aura about him both in the way he presents himself and how he conducts his tours that people fall in love with. Kenny was a true believer in helping each guest have the best possible experience while visiting the park. Kenny McCoy conducted every tour full of energy and spirit like no other and that is why we call him "The Real McCoy". As the years went on, Kenny became popular with many school kids while on field trips at Carter Caves. Teachers began requesting Kenny to be their guide along with guests coming in and picking out the tours that Kenny was leading. Kenny trained many seasonal guides summer after summer. The seasonal guides could always look up to Kenny and ask him for assistance or help. He was an icon during the past Crawlathon and Winter Adventure Weekend events. Participants during these events always tried to fit a tour with Kenny during the weekend and always made great comments about their experience. We are not sure how many steps Kenny has taken upon Carter Caves State Park grounds, but one thing you can guarantee is that he always had a smile on his face and something positive to say when spoken too. Kenny is missed by park employees and park guests.